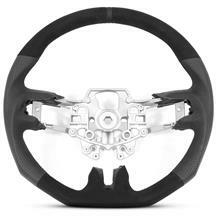 Shop Late Model Restoration for the best selection of 2015-2019 Mustang steering wheels and steering wheel accessories! The S550 interior brings a new class to the Mustang that has never been seen before. Featuring new innovations in steering wheel controls and even paddle shifters! One of the hot commodities for the 2015-2019 Mustang interior is the Shelby GT350 steering wheel. 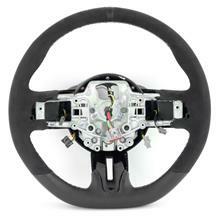 This race inspired wheel is sure to change the look and feel of your interior. Looking for a new steering wheel at an economical price? 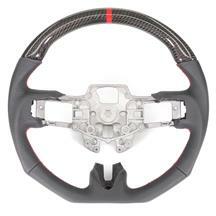 Check out our SVE X550 steering wheels! 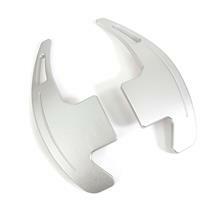 Available in several color options, these wheels improve your driving experience in ways you can only dream of! Shop our selection of Mustang steering wheel and steering wheel accessories below to separate your interior from the rest!